Paapads – The Spicy Indian crackers to crunch n munch!! with punjabi masala or red chillies! Indians love them in all these avatars! All over India – in each and every state the making of Papads is BIG business. Any write on papads would be incomplete without mentioning the Shri Mahila Griha Udyog, the makers of the famous Lijjat Papad. This is an organisation which symbolises the strength of a woman- a unique organisation of the woman, by the woman, for the woman! Bengali name for it is Pnapad- the first P is nasalised. papads or papadum are spicy Indian crackers. while spicy by American standards they are really bland and mild by Indian standards and most American can eat them. papads are like the American food popcorn. you have to prepare the food before eating it. but as in the case of popping popcorn papads are very easy to cook. 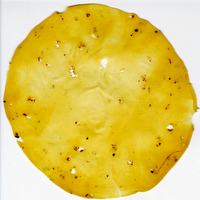 Papad (also papadam, poppadom, papadum, and appalam) is an Indian and Sri Lankan flatbread. Typically, it is prepared using black gram bean flour, rice flour, or lentil flour with salt and peanut oil added. The ingredients are made into a dough and formed into a thin, round shape similar to a tortilla. As the dough is prepared, the papadum can be seasoned with a variety of different ingredients such as chilies, cumin, garlic, black pepper, or other spices. (Urdu: چپاتی, Hindi: चपाती, Bengali: চাপাটি, Tamil: சப்பாத்தி, Kannada: ಚಪಾತಿ, Malayalam: ചപ്പാത്തി, Telugu: చపాతీ, Marathi: पोळी, Punjabi: ਚਪਾਤੀ [tʃəpɑt̪i]; Turkmen: Çapady) is an unleavened flatbread (also known as roti) from the Indian subcontinent. It is a common staple of cuisine in South Asia as well as amongst Indian expatriates throughout the world. Versions of the dish are also found in Central Asia and the Horn of Africa, with the laobing flatbread serving as a local variation in China. Chapati is known as doday in Pashtun. barley moon . . .
Roti is generally a South Asian bread made from stone ground wholemeal flour, traditionally known as atta flour, that originated and is consumed in India, Pakistan, Bangladesh,Nepal, and Sri Lanka..The word roti is derived from the Sanskrit word (roṭikā), meaning "bread. "The traditional flat bread originating from the Indian subcontinent is commonly known as roti; pronounced "rho tee". It is normally eaten with cooked vegetables it can be called a carrier for curries or cooked vegetables. It is made most often from wheat flour, cooked on a flat or slightly concave iron griddle called a tawa. It is similar to the tortilla in appearance. Like breads around the world, roti is a staple accompaniment to other foods, and may be spread with ghee (clarified butter). ***** . Food from India .